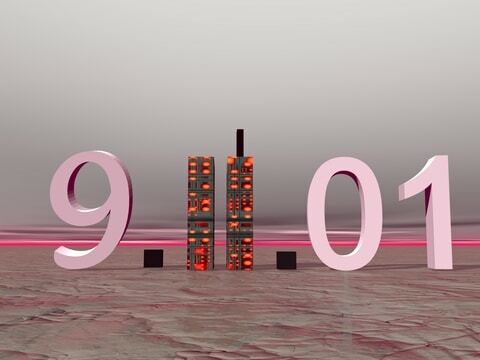 In an act of war on September 11, 2001, a group of nineteen Islamic terrorists killed three thousand people in three strikes against the U.S. Further attacks were widely expected. Politics is not pretty either. The report that Senator Feinstein released last week was partisan – it was written by the Democrat staff of the Intelligence Committee, with no input from the Republican staff. It was based on the premise that the CIA had acted immorally. The data collected and the arguments used were phrased to fit its predetermined conclusion. The report did not provide context, in that it omitted the fear that permeated the country in the weeks and months following the attack. It concluded, in contradiction with others, that “torture” did not produce any actionable intelligence. The report did not acknowledge that the CIA, and other agencies, had been successful, in that the subsequent thirteen years have been absent any more mass domestic attacks. Its timing was auspicious. It was released after the election and shortly before Ms. Feinstein will have to relinquish her leadership position on the Senate Intelligence Committee. It was also released on the same day Jonathon Gruber – the MIT professor who believes most Americans are stupid – testified on Capital Hill. While the investigators sifted through six million documents, they neither conducted interviews with alleged perpetrators, nor did they speak with Directors of the CIA or with any Deputy Directors. They claimed they could not; they said the Justice Department was conducting its own review, which was false, as the Justice Department, in 2012, had exonerated all those accused. Most disturbing, according to former Democrat Senator Bob Kerrey, the report contained no recommendations. And, it cost taxpayers $40 million. Historical revisionists are common, especially among the political class who wish to be remembered in ways favorable to themselves and unfavorable to their political opponents. The report and its summary have been treated as Gospel by Left-leaning media. But it is cloaked in a mantle of false sanctimony. It shows the CIA as a rogue group who regularly tortured prisoners, lied to the President and Congress about what they did, and accomplished nothing in terms of preventing further attacks, or helping to capture or kill other al Qaeda members. (A headline in the New York Times expressed that sentiment: “Portraying a Broken Agency Devoted to a Failed Approach.) Like most reports and bills emanating from Congress, this one, at 6000 pages, was designed not to be read in its entirety. The report was political. The November elections were a setback to Democrats, who see themselves as the responsible Party. Senators Schumer and Warren have since split from the President on specific issues. Democrats are anxious to seize the high moral ground. Senator Feinstein came to the microphones on Tuesday, dripping with condescension and mad as Hell; she scandalized the Agency in a manner reminiscent of Senator Frank Church’s committee forty years ago. It took a generation for the Agency to refurbish its image after that witch hunt. Whether Senator Feinstein’s fury was feigned or real, she claimed to have been misled by the CIA. She said they operated illegally and lied to President Bush. Her accusations have been denied, and her report only aggravated the partisan divide. America is different from other nations. Torture should be avoided, but semantics are important. The word “torture” should be defined carefully. The Bush Administration was careful to get Justice Department Authorization for the enhanced interrogation techniques they employed. What the CIA did to captured al Qaeda terrorists may fit some people’s definition of torture, but it is far different than that experienced by those like Lieutenant Louis Zamperini at the hands of the Japanese during World War II. We cannot and should not forget what happened on 9/11. Fear causes people to act irrationally. Perhaps the soldiers in my father’s Company did act improperly after the German’s deadly trick atop Mt. Belvedere in February, 1945. But when we judge them, it must be done in the context of the time. In the aftermath of the smoldering ruins of the World Trade Center, a badly injured Pentagon, and the remains of United Airlines Flight 93 scattered across a field in Shanksville, Pennsylvania people were scared. It was a fear that permeated all Americans – the threat of an Anthrax attack, the possibility of a similar attack on the West Coast. Was there some over-reaction by the CIA when enemy combatants were captured? Almost assuredly so. Were their reactions excusable? Perhaps not. Were they understandable? Absolutely. Were they deserving of this partisan, scandalous report? Not at all.